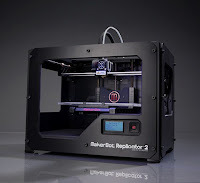 I have a Makerbot Replicator 2x Dual Head 3d FDM Printer. The only modifications I've done so far have been to upgrade the right print head with wing commanders modified extruder upgrade (feeder) which you can find here: http://www.thingiverse.com/thing:79807 . It works pretty damn well for printing with ABS and is a must have upgrade for the 2x. Over the weekend I was able to test out some of the speciality filaments obtained from a few of the manufacturers that carry them, specifically makergeeks and taulman. In this post I'll go over my findings on my attempts to print these filaments on the Replicator 2x. In follow up posts I'll include the other specialty filaments I have yet to try. Here are the 5 Filaments that I was able to play around with this weekend. 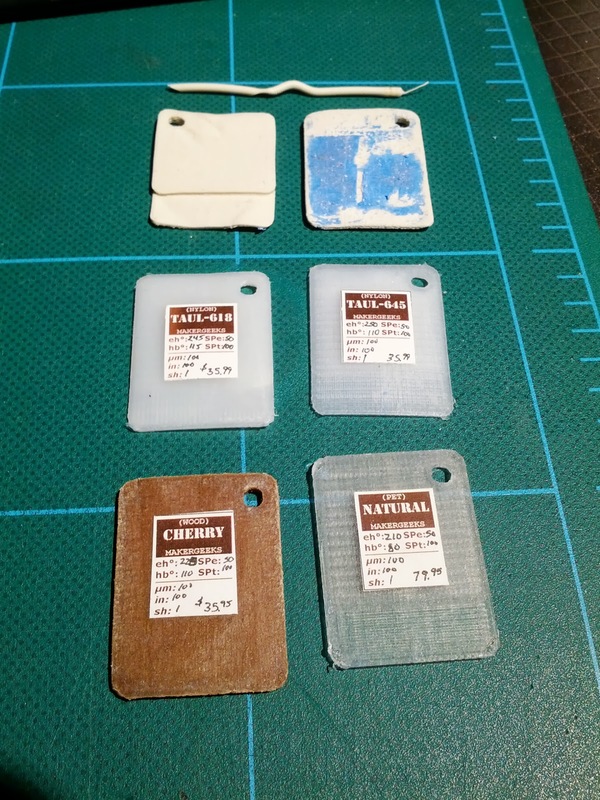 From top left to bottom right they are Laybrick (top two), Taulman's Nylon 618, Taulman's Nylon 645, Laywood - Cherry, and finally PET - Natural. I printed out the PET first actually, its a very nice filament, similar to PLA in strength and rigidity, and one of the chips I printed I actually broke in two and it broke like a old cd case (large shardy type breaks). It had little to zero warpage and I was able to print on blue painters tape. I printed at 210c so it was a relatively low temp filament. The only downside is the cost at 79.95 for a 0.5 kg spool and it doesn't come in any other colors. 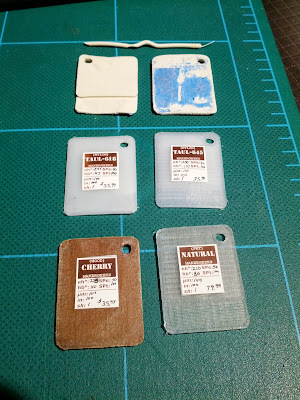 I then tried the taulman 618/645 nylon filaments respectively. Each printed fine at 245c and 250c onto blue painters tape, except each was very easy to dislodge from the printbed surface, and the 618 was warping off blue tape severely, where as the 645 only started to warp near the end of the print (15min to print the chip @ 100 microns). So for larger prints not sure how to better get them to "stick" or what surface to print on is best. Each seems to have issues with warping in this regards. I even used helper disks at each corner when I printed the chips out, either I need more helper disks or I'll have make the helper disks thicker perhaps, or find a better printing surface (kapton tape seemed a bit better but hard to remove from). Regardless I was able to print the nylon without too much effort or frustration from the print head. The last two I printed were the laywood and the laybrick and each had their own but similar issues. The laywood I was able to print out on blue painters tape with a temp of 225c or 230 without much issue, however I couldn't print at either higher or lower temperatures, which makes using the laywood kind of pointless in some regards. If you can't vary the temp you won't get those nice striations that are similar to "real woodgrain" and so you only get the one "color". Which is akin to the color of a wooden clipboard. Nice be meh, I hadn't tried any finishing products or sanding the laywood. When I tried to print at lower temps, enough to have a difference in color at least, the print head would clog about 1/4 into the print of the chip, which takes 15 min to print. This would lead to the laywood filament not moving into the hot end. The filament is very brittle as well. Normally with ABS you can attempt to clear the clog with a little downward pressure by pushing on the filament when the load cycle is goign, but with laywood the same technique resulted in breaking the filament, and ultimately you have to remove the extruder and use a needle nose pliers, if you're lucky, and remove the clogged bit sticking out of the hot end. Oddly this same issue occurred at the higher end of printing temp for laywood as well, but instead of a solid piece of half melted laywood filament that you get with the lower temp, the higher temp resulted in a black mass of "burnt" filament. So essentially I was only able to print successfully at 225c or 230c. Also after the print has "cooled" it remains somewhat pliable and can flex a bit. Maybe this is the result of the chip being so thin. 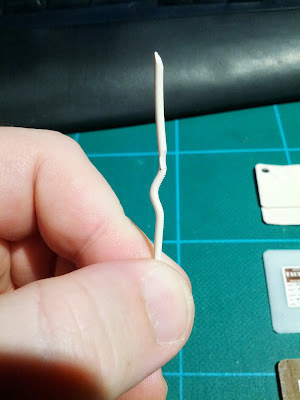 It was certainly more "plasticty" in this bending stretching than you would have with a normal piece and size of similar wood. Lastly there is laybrick. Which is the worst out of the five in terms of successful printing on my 2x. I attempted to print the laybrick chip at 230c with the right had "upgraded" extruder at the specified temps, but each time resulted in the nozzle getting clogged midway through a print and then the extruder pushing down on the filament bending it and then as the extruder kept trying to push it along, would then start to grind off the filament. You can see this in the picture of me holding the filament where just above the bend you'll see a half moon shape where the extruder's wheel just ground down into the filament and would stop printing, or air print, and give me a half printed object. This is when i switched to the makerbot original extruder which is on the left side still and not upgraded. This allowed for me to print out a chip but I still had to watch the printer closely as the left extruder would also sometimes not feed the filament through properly, but that side does that with ABS as well which is why I upgraded the right side. At the moment I saw an issue I would stop and run the "load filament" portion again and all would be saved. The second issue i ran into was according to the directions on a few sites they say to let the laybrick cool down before removal as it very pliable until cool, as you can see I attempted this and it stuck so badly to the blue painters tape it took all of the tape with it! The second attempt was made and as you can see I tried to get the chip off the tape BEFORE it had a chance to stick entirely and ended up wih a very warped piece as it cools very quickly. It is still an interesting material, and I'd like to print more with laybrick, but unless I can find a suitable set up to print reliably (extruder pressure and print bed covering) I think it'll sit on my shelf. The downside with all of these filaments is of course the price. Laywood and laybrick are extremely pricy as they go for 35.99 per .25 kg spools, the PET as mention was 79.95 for a 0.5 kg spool, and the nylons go for 25.95 for a 1kg spool, the most affordable of the lot and most closest to PLA and ABS spool prices (depending of course where you get your PLA and ABS from). So there you have it, my experiences with printing those those materials on the 2x. I think I have about 6 more specialty filaments to run tests with, so hopefully sometime this week or weekend I'll have another report on those. Overally ABS is still the filament to print with on the 2x. 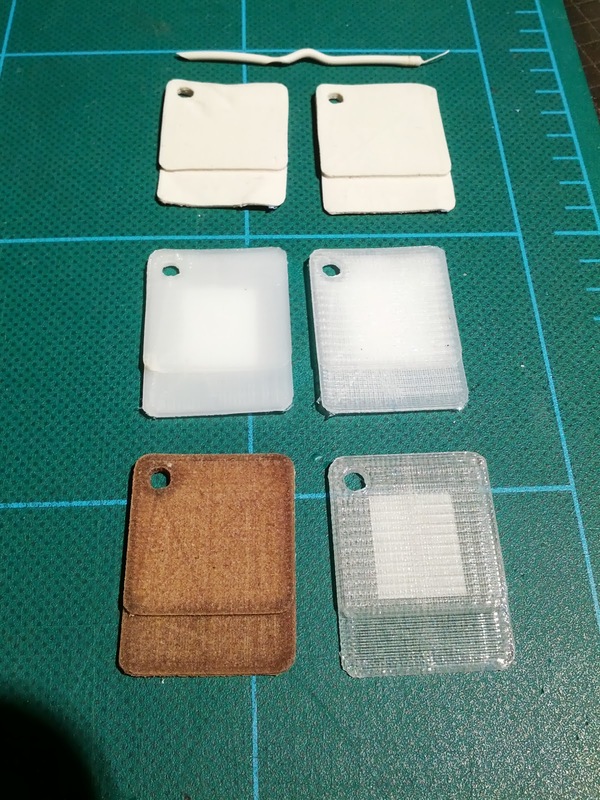 If you have any suggestions or success stories printing with these filaments please let me know via email and I can test them out with my setup and see if I get the same results and if so we can publish the results here for others to use as reference.